There was no rain for the crops. The crops died. Cause and effect is an important part of reading and writing. 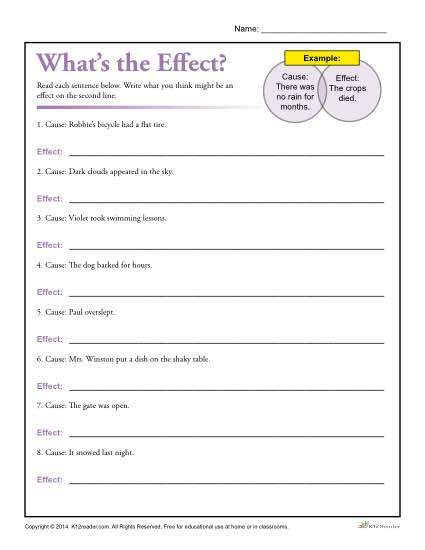 In this free worksheet, students are given of different causes and have to determine the effect and write it. Print out this worksheet today to get your students learning! This worksheet lesson activity is perfect for 3rd and 4th grade, but can be used where appropriate.